News on the new étoile, star Wars. Jk. 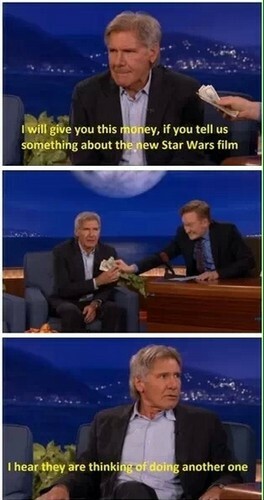 Wallpaper and background images in the Harrison Ford club tagged: photo harrison ford funny star wars. This Harrison Ford fan art might contain costume d'affaires and costume d’affaires.